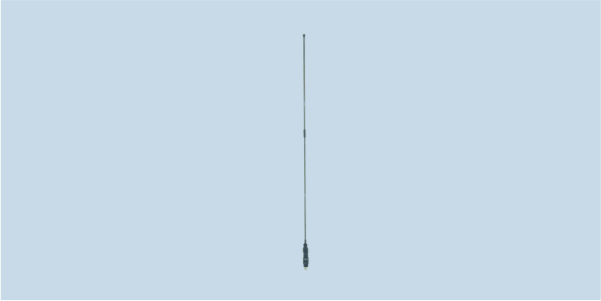 WB2CC is wideband antenna for high HF and low VHF frequencies. Its male N-type base has a 20W CW capable matching unit connected to its foldable carbon-fiber whip. WB2CC packs a lot of performance in a short 2m whip antenna. Gains on a 10 x 6 x 4 enclosure are -17 dBi at 25 MHz, -1 dBi at 55 MHz and unity at 95 MHz. Power rating is 20W at 100 % duty cycle make it an excellent choice for a tactical communications antenna. The manpack antenna weighs only 12 ounces and has a thin carbon-fiber whip that can be folded in half for storage purposes. An N-type male connector mates to your radio.